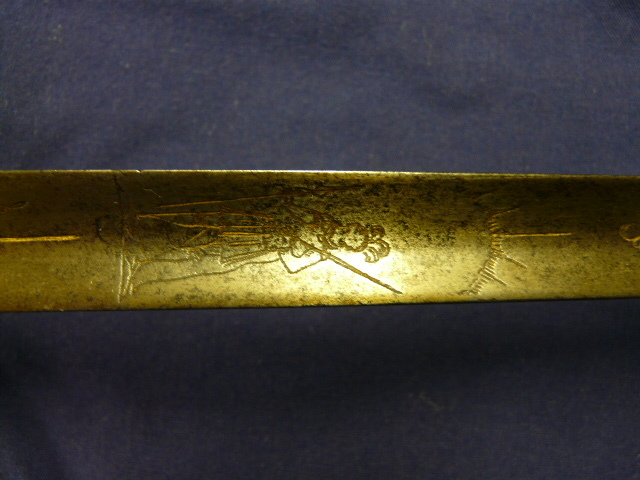 I'm hoping I can get some information on a smallsword that I have. From what research I've been able to do, I believe it dates from around the 17th century, when fencing type weapons came into use. It actually belonged to my late uncle for whom fencing was a hobby. 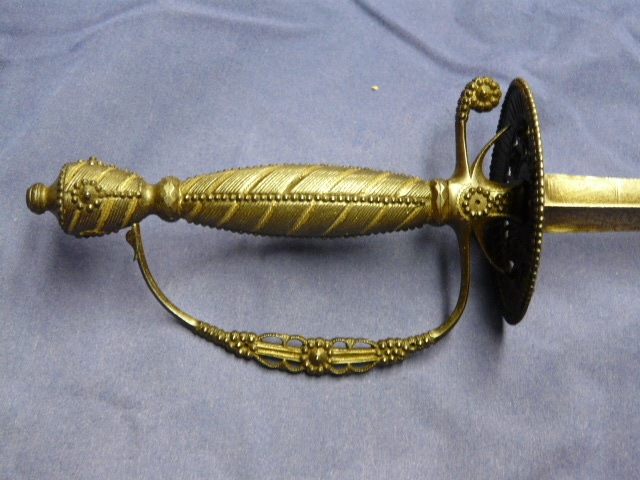 It has a slender triangular blade, 33" long and is engraved "Me Fecit Solingen" together with a figure in armor and decorations of weapons and flags.The grip, pommel and knuckle guard are finely decorated with twisted gilt wire and the whole grip and guard are covered with what look like multi-faceted steel rivets. The whole weapon is very finely crafted, I think and feels just right in the hand. My antique weapon collection consists mostly of old firearms and this is the only interesting sword that I have so I would really appreciate finding out more about it. BTW, the pics make it look rather yellow. 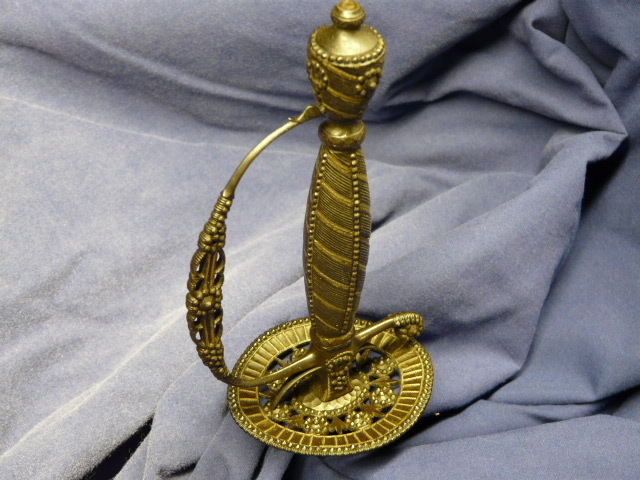 It is actually steel colored as in the last photo, but with the gilt wire decorations. Shown online and downloadable in pdf form is Bashford Dean's calalogue of court swords and hunting swords. These urn type pommels come along later in the 18th century and even well into the 19th century. if you browse that book, you will see the finger rings getting smaller as time goes by and become quite vestigial, as seen in the example you show. I would put it at the last decade of the 1700s. What a remarkable reference work. That ought to keep me busy for a while.